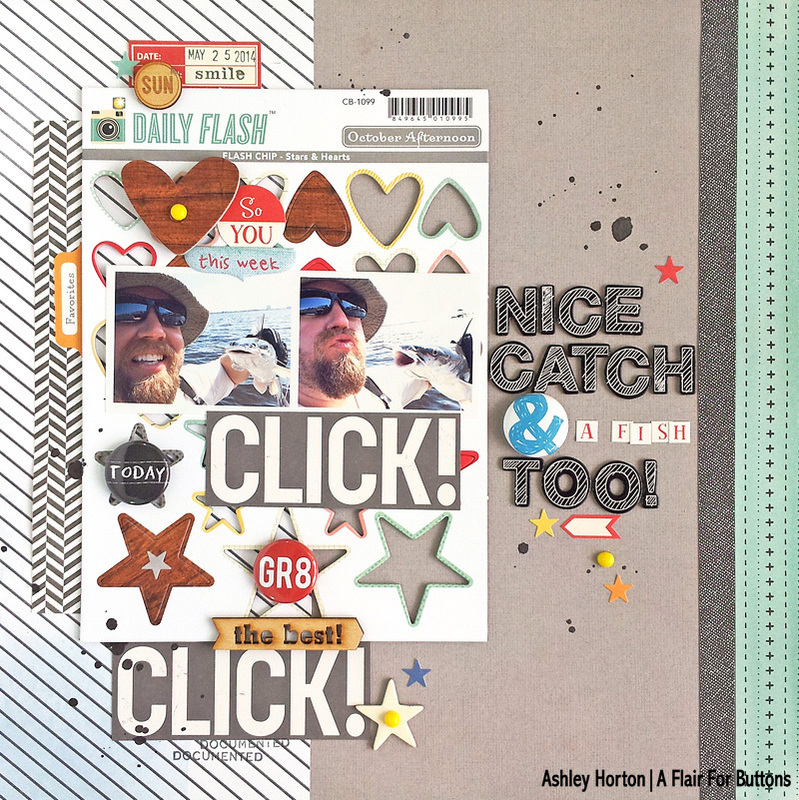 Ashley Horton Designs: A Flair for Buttons | Nice Catch & a Fish Too! Hi everyone! I am stopping in today, to share a new layout created for A Flair for Buttons! 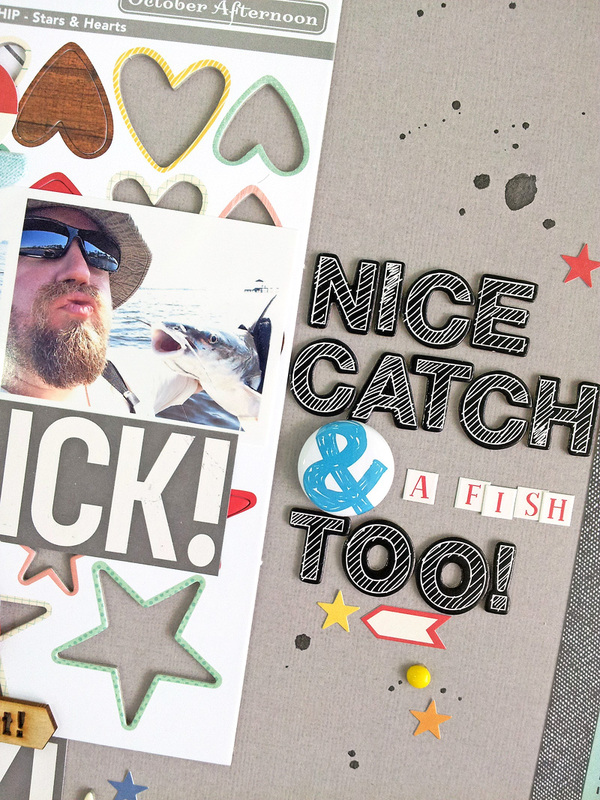 I love looking at projects from fellow scrapbookers, and sometimes something catches your eye, that you know you have to use on a layout. I spotted a great page by Melanie Blackburn, using the negative chipboard piece, that was leftover from some of her embellishments. I knew right away, I wanted to incorporate the negative chipboard on a layout and thought it would be a great way to add in some flair, in the negative spaces! I had the leftover Stars & Hearts chipboard piece from the October Afternoon Daily Flash collection. I placed the chipboard behind my photos and then I used Flair Buttons from the Chalk Words 2 Flair set and the Number Phrases 1 Flair set, in the center of two of the stars. And the Ampersand Flair Button from the Best Friends Flair set, worked great in my title. So when you are looking through Galleries and your favorite Blogs, don't be afraid to look for inspiration and then find fun ways to incorporate it into your own layouts. And then grab those Flair Buttons and make a good layout great, by adding the final finishing embellishments! 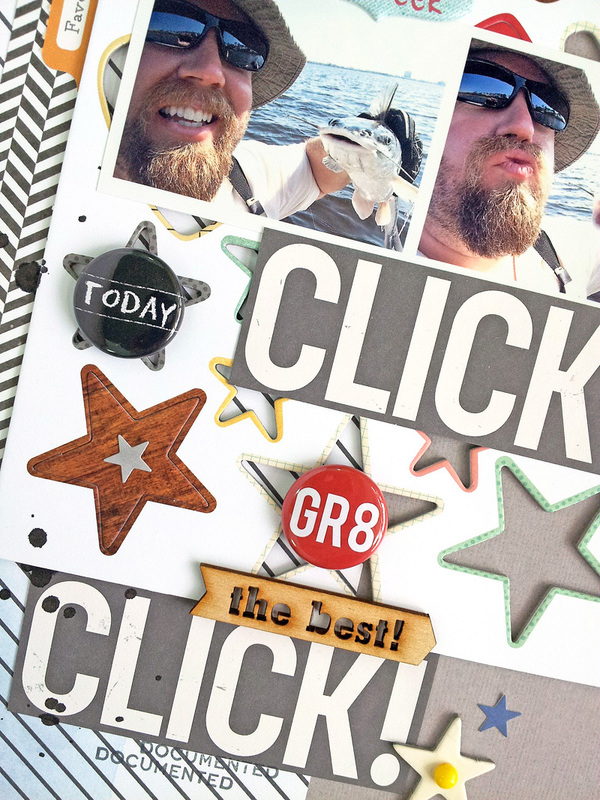 Stop by the A Flair for Buttons shop to check out the Flair Buttons I used on this layout! !